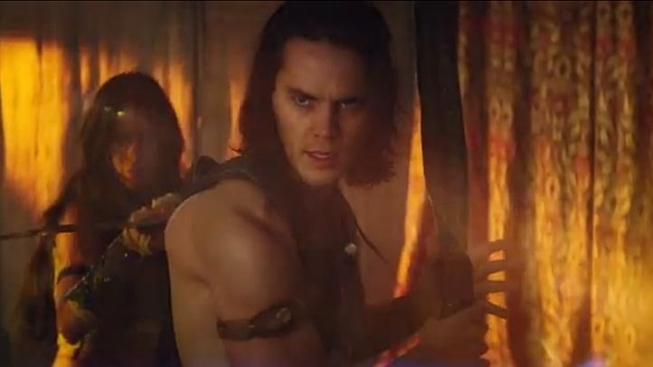 Based on a series of novels by Edgar Rice Burroughs, "John Carter" stars Taylor Kitsch as a Civil War soldier who awakens one day to find himself stranded on Mars and is soon helping to fight to save its people. We love the concept, have heard nothing but great things about the books, have been rooting for Kitsch since season one of "Friday Night Lights," and have a ton of respect for writer-director Andrew Stanton, but the trail is a mess. Mars looks drab, and there's no indication that he's on Mars, the music and lyrics ("My body is a cage...") feel completely out of place, Carter appears to have had zero trouble adjusting to waking up on a distant planet... What's the story? Our concerns about this film were first raised when it was announced that they changed the title from "John Carter on Mars," which gives you at least an inclination of the story. "John Carter" is going to leave half the country thinking they've made a film about Noah Wylie's "E.R' character. Worse still, they dropped the "on Mars," but the poster reads "JCM"--yet there's no "M" in the title. "John Carter" opens March 9, 2012.